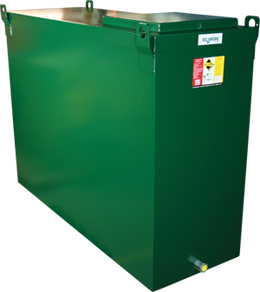 Our slimline bunded oil tank is one of the thinnest steel oil tanks on the market today. We laser cut this tank from high quality S275 grade steel which complies with BS EN 10025. Our inner tank is made from the highest quality tank grade plastic polymer which means you can be assured you're buying a first claass product. Ecosure steel bunded oil tanks are manufactured according to OFS T200.